Jonathan Bethony is one of the leading artisanal bakers in America, but he goes further than most, milling his own flour and baking everything with a hundred percent of the whole grain. He’s also going beyond wheat, incorporating other cereals such as millet and sorghum in the goodies Seylou is producing. 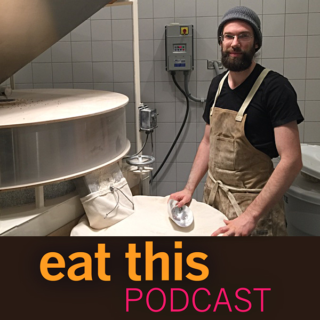 I happened to be in Washington DC just a couple of weeks after his new bakery had opened, and despite all the work that goes into getting a new bakery up and running, Jonathan graciously agreed to sit down and chat. Jonathan impressed me with his live-and-let-live attitude to people who want to be gluten-free. I can only imagine how depressing it must be to have people shun the food you have dedicated your life to making. As he said, “I’m not a poison dealer”. But it did add to the motivation to pursue long fermentations and 100% whole grain flour, which does seem overall to make breads more digestible. Seylou is open from Wednesday to Sunday and was shut on the day I visited, so there was no chance to try anything. A couple of weeks later we went back for a coffee and something to eat, the proof of the pudding and all that. I was truly blown away. 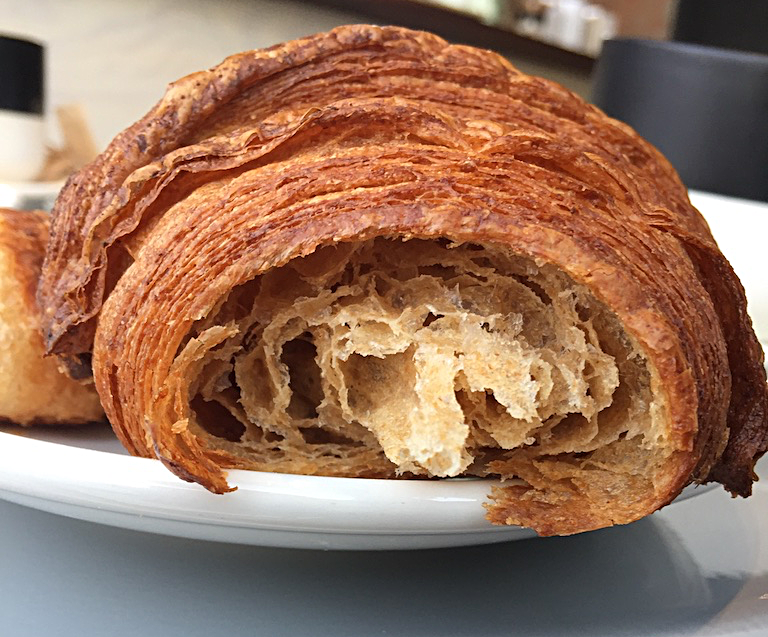 The whole grain croissant was an astonishing revelation. I simply could not imagine anything made of whole wheat could be so light and airy and yet so flavoursome. Same goes for the millet cookie. If I hadn’t been told, I’m sure I would never have guessed that it wasn’t wheat, and it had none of the self-righteous heftitude that “good-for-you” goods often have. Seylou wholewheat croissant; just remembered to snap it before scarfing it down. The bread I tried at my friend’s house. It was obviously not as light as a croissant, nor would I have wanted it to be, but it was moist and chewy and again incredibly tasty. Also, filling. A single slice mid-morning took me well into the afternoon. Seylou’s spelt and emmer loaf. 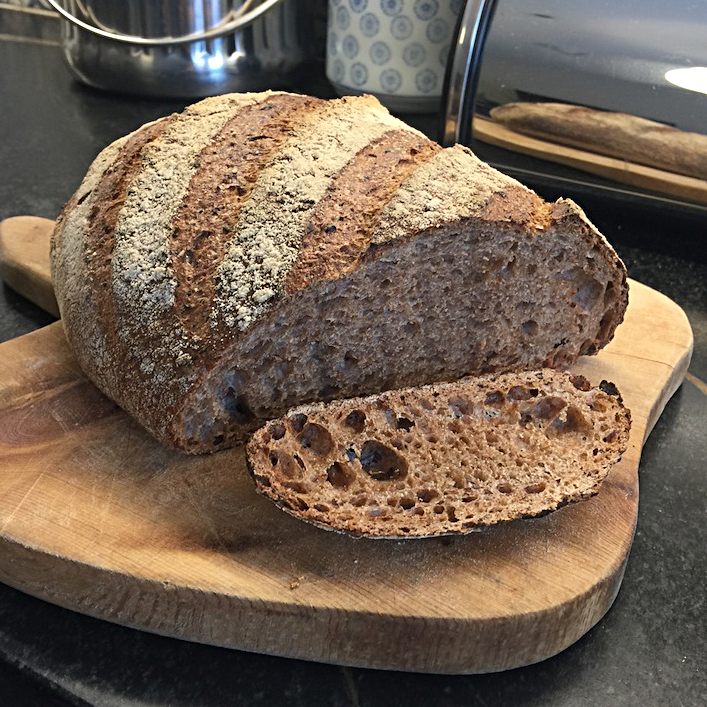 As a bread baker myself, perhaps the secret is in the difference between harder and softer wheats, as Jonathan said, and how softer wheats result in bigger flecks of bran, which can make getting a good open crumb more difficult. In Italy I’ll often demonstrate the presence of bran in wholewheat flour by sifting a small sample, leaving the bran behind. When I tried that recently with some high-quality US-milled wholewheat, there was almost no bran left behind. It had been truly pulverised. I’m still a ways away from buying a home mill, but now I’m wondering; if I sifted my Italian flour for a bake and blitzed the bran in a food processor, would that make for a lighter loaf? You might imagine that an artisanal baker who talks about respect for the farmers and all they do for the land and for their grains would be using only ancient heirloom varieties, handed down from one generation to the next and tightly adapted to the farms on which they grow. You’ld be right, but only partly so. One variety Jonathan bakes with is probably at least 200 years old. Another was born yesterday. Turkey Red is a really old variety with a murky origin story, even after it reached the US. Some say that it was first planted in 1874 in Kansas by immigrant German-Russian farmers fleeing conscription in the Crimea, who brought it with them in their suitcases, trunks and special chests. Others credit a single farmer – Bernhard Warkentin – a German-speaking Mennonite from what is now Ukraine, who arrived in Kansas in the early 1870s scouting for good places to grow wheat. His father was a miller who had introduced Turkey Red to the area around Odessa in the Crimea, though nobody knows its history before that. While the early immigrants may have grown a little Turkey Red on their arrival, in 1885 and again in 1900 Warkentin was charged with importing “several thousand bushels of new seed” of Turkey Red from Crimea. The variety became one of the foundations of the breadbasket states of the USA and a vital part of the economy of Kansas, but starting in the 1940s new, high-yielding varieties pushed it out to just a few small fields, the province of hobby farmers. In 2009 Slow Food USA added it to the Ark of Taste and that heralded something of a rennaissance, with Turkey Red finding new places to grow, close enough to Washington DC for Jonathan to consider it local. Appalachian White sounds as it if could have much the same back story, but it’s ancestry is very different, and much better known. Its parents are KS2016-U2 and Lakin, themselves both relatively modern Kansas varieties, crossed deliberately to create a hard white winter wheat that would thrive in the eastern United States, where the climate is much damper than on the plains. The USDA released it to farmers in 2010 and it is now being grown quite widely in North Carolina and Virginia. Not as glamorous as Turkey Red, but also much more useful to farmers, millers and bakers on the east coast, especially those who want organic, local flour, which is exactly what the USDA breeders had in mind. As for the bakery’s back story, the Seylou website has that. And almost as if to prove my point after writing about Modernist BreadCrumbs the other day, Jeremy’s latest episode is a stunning example of love and care in a podcast dedicated to food. I’m really so pleased that he can take a holiday, have so much fun with bread, and simultaneously turn it into something like this. Even the title reads as if he were trying to out-do the entirety of eight episodes of Modernist BreadCrumbs in one short interview. I think he’s succeeded handily. There’s so much great to unpack here, and simultaneously I wish there was more. I found myself wishing he’d had time to travel to some of the farms and done a whole series. With any luck he actually has–I wouldn’t put it past him–and we’ll be delighted in a week or two when they’re released. 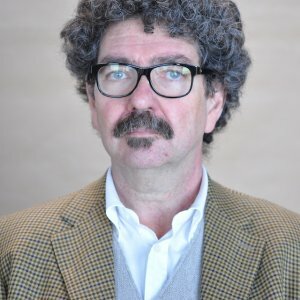 I’m a biomedical and electrical engineer with interests in information theory, complexity, evolution, genetics, signal processing, theoretical mathematics, and big history. I’m also a talent manager-producer-publisher in the entertainment industry with expertise in representation, distribution, finance, production, content delivery, and new media. Do it! You won’t be disappointed. Latest episode of Eat This Podcast is up now. Bread as it ought to be. I have been trying to get there. Sounds great. Duncan Hull 🐝 mentioned this note on twitter.com. Katherine Nelson liked this note on facebook.com. Clive Zickel liked this note on facebook.com. Diane Barrett liked this note on facebook.com. Aaron Davis mentioned this note on collect.readwriterespond.com. Kate Ryan liked this note on facebook.com. Luigi Guarino liked this note on facebook.com. Chris Aldrich liked this note on twitter.com. Yannis Bourodimos liked this note on facebook.com. Grain Berry liked this note on twitter.com. Mark Waters mentioned this note on markwaters.eu. Jeremy mentioned this note on fornacalia.com. Arwen Bailey liked this note on facebook.com. Seylou Bakery reposted this note on twitter.com. Francoise Auvray liked this note on facebook.com. Jessica Azeez liked this note on facebook.com. Seylou reposted this note on facebook.com. Kirsten Bourne mentioned this note on twitter.com. Christopher Emsden liked this note on facebook.com. Tom Payne liked this note on facebook.com. Lyn Hunt liked this note on facebook.com. Sergio Salvi liked this note on facebook.com. Alisa Bruce liked this note on facebook.com. Susan Schaeffer liked this note on facebook.com. Scott Gilkeson liked this note on facebook.com. AgroBioDiverse reposted this note on twitter.com. Jonathan Bethony is one of the leading artisanal bakers in America, but he goes further than most, milling his own flour and baking everything with a hundred percent of the whole grain. He’s also going beyond wheat, incorporating other cereals such as millet and sorghum in the goodies Seylou is producing.